Phone interviews are faster, better, and cheaper than face-to-face for gathering fresh information about whether a new B2B, specialty product idea will succeed. From interviews with 40 prospective customers, you gain statistically significant insights 1 into who will buy the new product and why. 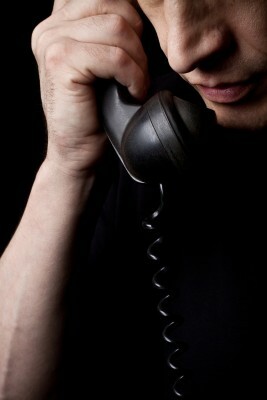 These phone interviews, rich in fresh information, can be completed in a fraction of the time involved in face-to-face. A seasoned phone interviewer can always contact and elicit fresh information from a knowledgeable individual in the sample. Face-to-face interviewing must fit an interview into respondents’ tight meeting and travel schedules. The interviewer often arrives at the meeting and finds the respondent must cancel. The interviewer then usually meets with a less knowledgeable individual. Two behavioral surpises are at work here. The first, Strangers On A Plane (SOAP) 2 deals with the willingness of passengers on a plane ride to share sensitive information with a stranger who they will never meet again. The second deals with the finding that it’s easier to detect and elicit hidden information by listening rather than by looking 3, 4. This power of listening contradicts the commonly held belief that in face-to-face interviews that you can read a person like a book. Phone interviews can be conducted with knowledgeable individuals anywhere in the world with zero travel expense. Since 1985 I’ve used phone interviews to unearth latent needs and valid market opportunities for clients with new product ideas for B2B markets. Call me at 203/323-4075 to start a conversation about how we might work together.